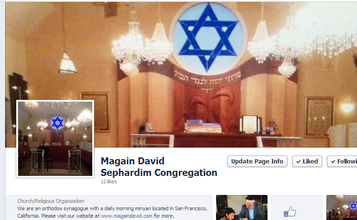 The first Sephardic synagogue in San Francisco, Magain David was founded in 1935 to serve a diverse community of Jews from Sephardic backgrounds. Today, we continue to pray and learn in accordance with Sephardic practices, but we serve people from every background and culture. 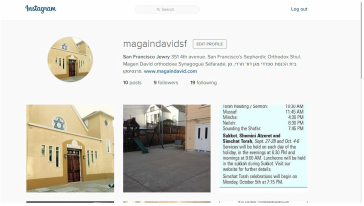 Magain David has an active community with a daily minyan in the morning, Shabbat services on Friday evenings and Saturdays, holiday services and meals, and special events. For service times, please see our Schedule page. First time visitors are encouraged to email us in advance of their visit for more information: info@magaindavid.com. You will find an open and welcoming congregation when you visit. We hope to meet you soon! See our community on Instagram. To learn more about our community, visit us on Facebook.